Hand hammered and formed circles with silver ball detail. 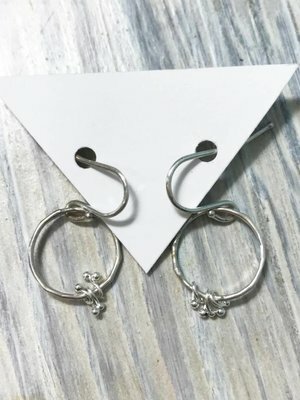 handmade silver ear wires. 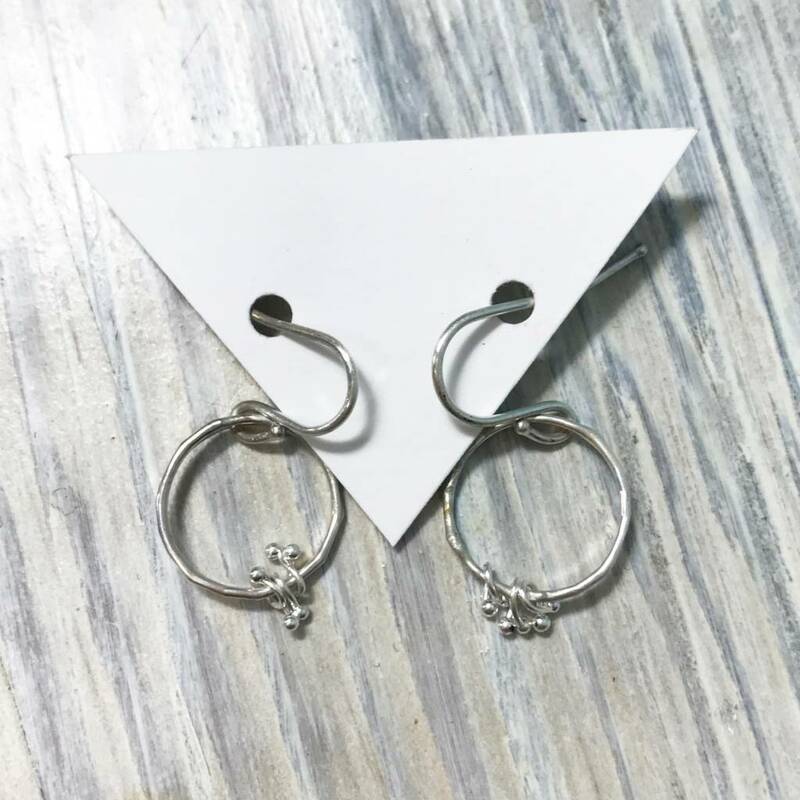 1" total length. In sterling silver. Effortless and easy for every day or dress up. Delicately hand crafted. Made in Portland, Oregon by Kiersten Crowley.